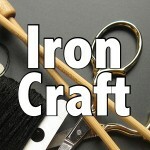 This Iron Craft challenge required us to make something for the letter “f.” The “f” could be for the material, subject or technique. I went with a double f, faux fur. Last year when Matt and I went on our Christmas cruise through Hungary, Austria and Germany, everyone was wearing these great knit hats with fur pom-poms on them. 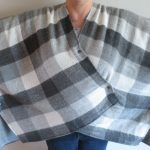 I loved how they looked and picked up a large brown one at a knitting store in Germany, but I have regretted not picking up a smaller version that I liked. (The clerk told me it was for hats for die kinder). I haven’t seen fur pom-poms in the stores here so I thought why not try making my own. This is a very easy hand sewing project. These pom-poms won’t just look cute on hats, but would also make great tails for toys or costumes. 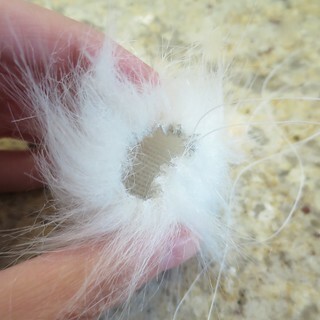 strong thread to match fur (I used an upholstery thread. 1. On the backing of the fur, draw your circle. 2. 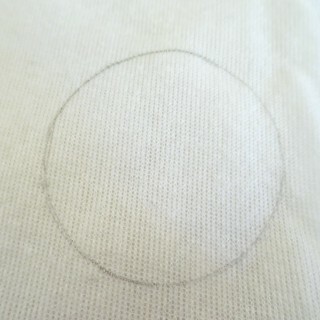 Cut out the circle from the back, trying to just cut through the backing and not the fur as much as possible. Doing it this way, I had almost no fur cut off and no mess! 3. 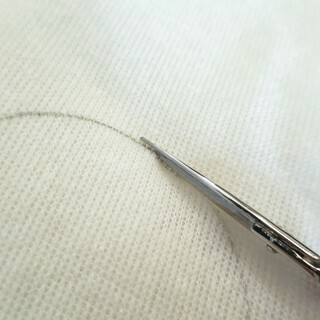 With the backing facing you, hand sew straight stitches close to the edge of the circle. I used a double strand of thread for extra strength. Do not cut or knot off. 4. 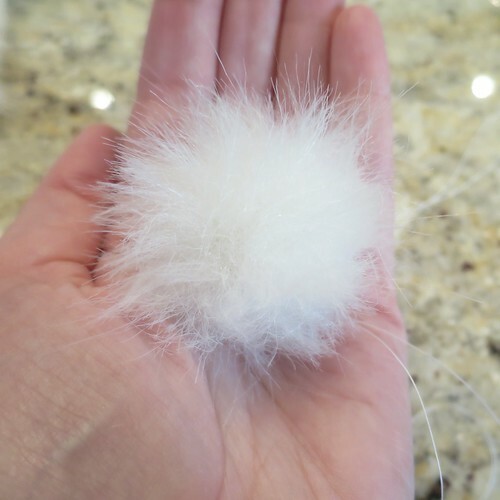 Pull your sewing thread to bring the edges in to form your pom-pom. Fill with stuffing, but do not stuff so tightly that you can’t pull the circle shut. You just want enough stuffing to help hold the shape. 5. 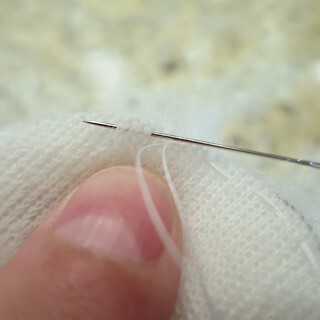 Pull the thread to close the hole. You may want to sew back and forth a few times to get it to really hold. Knot off. 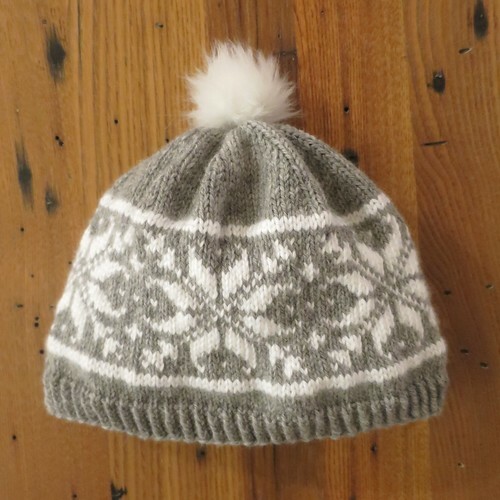 I left the thread tail to use to sew the pom-pom on the hat. 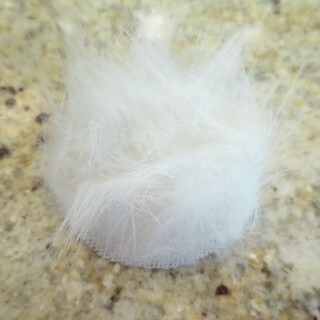 I found my fur was a little longer than I wanted when the pom-pom was done, so I gave it a little trim all around. That is very much a matter of taste. what a fun project. I didn’t even think about faux fur and I have plenty of it. This has me thinking on so many different levels. Great project.